How easy was it to buy the time and place a program on a network? . Remember Buddy Hackett’s “Chinese Waiter” routine, when the frustrated comedian kept explaining all the choices from “Column A” and “Column B” to his confused customers? Multiply that several times over and you’ll get an idea of the complexity involved in buying the NBC (Red) network at the midway point of Network Radio’s Golden Age in 1942. 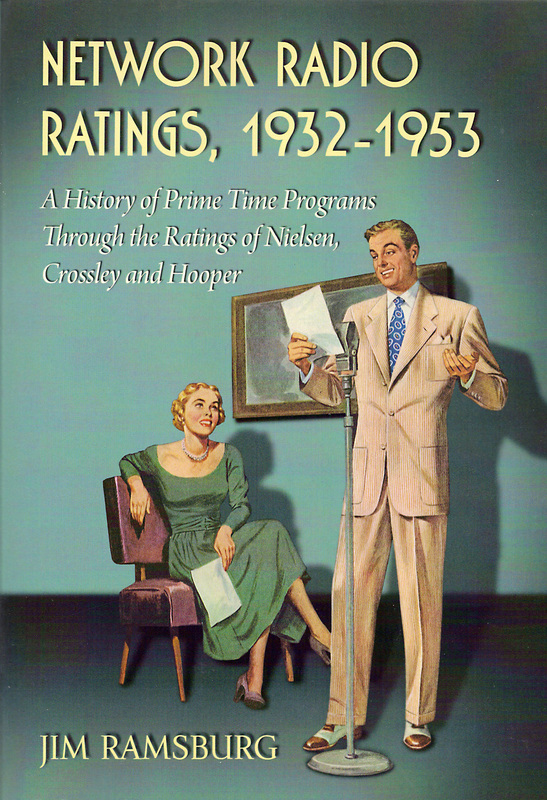 The NBC rate card appearing in 1942’s Broadcasting Yearbook, presents the choices available to prospective network sponsors. One hour, prime time rates are quoted below. Network charges for half hour prime time blocks were 40% less and 15 minute prices were 60% off the hourly rate. The rates were for station time and network line charges only - program production costs were additional. Obviously, the easiest part of the process was buying NBC’s Basic Network of 26 stations - but that only carried the sponsor’s message as far west as Kansas City and no further south than Louisville or Washington, D.C. - then it became more difficult. Conditions and stipulations were attached to reaching most every area of the country beyond that perimeter. Gross Rates: One Hour, 6:00 PM to 11:00 PM . NBC BASIC NETWORK - Available only as a group. Baltimore/WBAL: $360; Boston/WNAC: $440; Buffalo/WBEN: $320; Chicago/WMAQ: $800; Cincinnati/WLW*: $1,080; Cleveland/WTAM: $520; Des Moines/WHO: $520; Detroit/WWJ: $420; Hartford/WTIC: $400; Indianapolis/WIRE: $220; Kansas City/WDAF: $400; Louisville/WAVE: $220; Milwaukee/WTMJ: $340; Minneapolis-St. Paul/KSTP: $400; New York/WEAF: $1,400; Omaha/WOW: $340; Philadelphia/KYW: $480; Pittsburgh/KDKA: $480; Portland/WCSH: $160; Providence/WJAR: $200; St. Louis/KSD: $360; Schenectady/WGY: $400; Toledo/WSPD: $220; Washington/ WRC: $240; Wilmington/WDEL: $120; Worcester/WTAG: $180. Total for Basic Network of 26: $11,020. Allentown/WSAN: $120; Altoona/WFBG & Johnstown/WJAC (Combined): $140; Augusta/ WRDO (Available only when WLBZ/Bangor is used): $60; Bangor/WLBZ: $120; Bluefield/WHIS: $80; Charleston/WGKV & Clarksburg/WBLK (Combined): $140; Columbus/WCOL: $120; Duluth-Superior/WEBC: $140; Eau Claire/WEAU: $80; Evansville/WGBF & Terre Haute/WBOW (Combined): $160; Fort Wayne/WGL: $100; Grand Rapids/WOOD: $120; Harrisburg/WKBO (Available only when WORK/York is used): $100; Lima/WLOK: $60; Madison/WIBA: $140; Mankato/KYSM & Rochester/KROC & St. Cloud/KFAM (aka Minnesota Network, Combined): $120; Manchester/WFEA:$100; Reading/WEEU: $140; Reading/WRAW (Available only when WEEU is off the air): $120; Richmond/WMBG: $140;Sioux Falls/KSOO: $140; Sioux Falls/KELO (Available only when KSOO is off the air): $80; Springfield/KGBX: $120, Wichita/KANS: $120; Wilkes-Barre/WBRE: $120; York/WORK & Lancaster/WGAL (Combined): $120; Zanesville/WHIZ: $60. NBC NORTHWESTERN SUPPLEMENTARY GROUP - Available individually for use with the Basic Network. NBC BASIC NETWORK SPECIAL SERVICE - Available for use with the Basic Network. Charleston/WTMA: $80; Charlotte/WSOC: $120; Columbia/WIS & Florence/WOLS (Combined): $140; Greenville/WFBC & Asheville/WISE & Bristol/WOPI & Greenwood/WCRS & Kingsport/WKPT (Combined): $140; Norfolk/WTAR: $160; Raleigh/WPTF: $240; Savannah/WSAV: $80; Winston-Salem/WSJS: $120. Total for group of 13: $1,080. NBC FLORIDA SUPPLEMENTARY GROUP - Available only as a group for use with the Southeastern or South Central Group. Jacksonville/WJAX: $160; Miami/WIOD: $200; Tampa/WFLA & Lakeland/WLAK (Combined): $140. Total for group of four: $500. NBC SOUTH CENTRAL SUPPLEMENTARY GROUP - Available only as a group. WSM/Nashville of Mid-South Service must also be used with this group if available. Atlanta/WSB: $400; Birmingham/WBRC: $160; Memphis/WRC: $240; New Orleans/WSMB: $160. Total for group of ten: $1,340. Also available individually with the South Central Group: Chattanooga/WAPO: $100; Knoxville/WROL: $100. NBC MID-SOUTH SERVICE - If available, WSM must be used with South Central group..
NBC SOUTHWESTERN SUPPLEMENTARY GROUP - Available in a group of not less than seven..
Amarillo/KGNC: $120; Dallas-Ft. Worth/WFAA or WBAP: $440; Houston/KPRC: $260; Little Rock/KARK: $140; Oklahoma City/WKY: $240; San Antonio/WOAI: $300; Shreveport/KTBS: $120; Tulsa/KVOO: $280. Total for group of eight: $1,900. Also available individually with the Southwestern Group: Corpus Christi/KRIS: $100; Pittsburg/KOAM: $120; Weslaco/KRGV: $100. NBC MOUNTAIN SUPPLEMENTARY GROUP - Available only as a group with the Basic or Pacific Coast Network..
Denver/KOA: $300; Salt Lake City/KDYL: $200. Total for group of two: $500. NBC NORTH MOUNTAIN SUPPLEMENTARY GROUP: Available only as a group to be used with the Mountain Group or Pacific Coast Network. NBC PACIFIC COAST NETWORK - For use with the Mountain Group in conjunction with the Basic Network. When used separately, special program production in San Francisco or Hollywood studios is required. Fresno/KMJ: $160; Los Angeles/KFI: $520; Portland/KGW: $220; San Francisco/KPO: $420; Seattle/KOMO: $240; Spokane/KHQ: $160. Total for group of six: $1,720 . Also available with the Pacific Coast Network: Medford/KMED: $80. NBC SOUTH MOUNTAIN GROUP - For use with the Pacific Coast Network subject to availability of lines. El Paso/KTSM: $120; Phoenix/KTAR & Safford/KGLU & Tuscon/KVOA & Yuma/KYUM (Combined): $160. Total for group of five: $280. NBC PACIFIC COAST NETWORK SPECIAL SERVICE - For use with the Pacific Coast Network. * Note: The NBC 1942 rate card was obviously prepared before December 7, 1941. Network sponsors wanted their programs - and commercials - broadcast only in markets where their advertised goods were sold. But what happened if, for example, a sponsor marketed its advertised products in only 23 of the 26 markets of the NBC Basic Network that had to be bought as a complete group? The network would instruct its affiliates in those three markets not to broadcast the program. Nevertheless, the sponsor was still required to pay the full rate from which the entire group of 26 stations was compensated. Were there exceptions to this rule and other requirements on the NBC rate card? Probably, but not many. You’ll find hints of them in Network Radio Ratings, 1932-1953. Adding to the complexity of this rate card were discounts available to advertisers whose gross charges totaled at least $2,000 per week for 13 consecutive weeks. These discounts began at two and a half percent and increased on a graduated scale up to 12½% for sponsors spending more than $18,000 per week. However, five percent was deducted from discounts for programs broadcast between 8:00 PM and 10:00 PM, New York Time. Considering the myriad of choices, charges and discounts that had to be calculated by agency time-buyers and network salesmen without the aid of computers - it all makes the most detailed Chinese menu look simple by comparison. Nobody was ever rewarded with a fortune cookie, either.